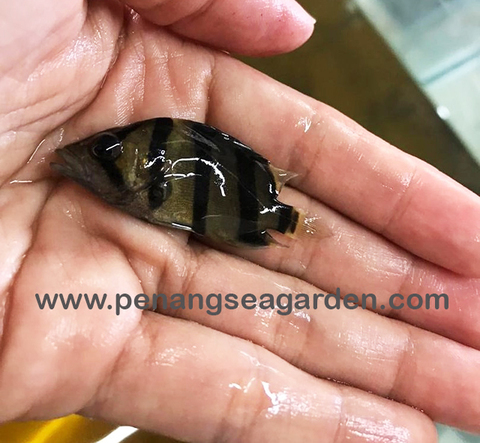 Home › Northern Thailand Tiger (NTT) 泰北虎 2"
Northern Thailand Tiger (NTT) 泰北虎 2"
All tiger fish will turn unstable and blackish when stressed. 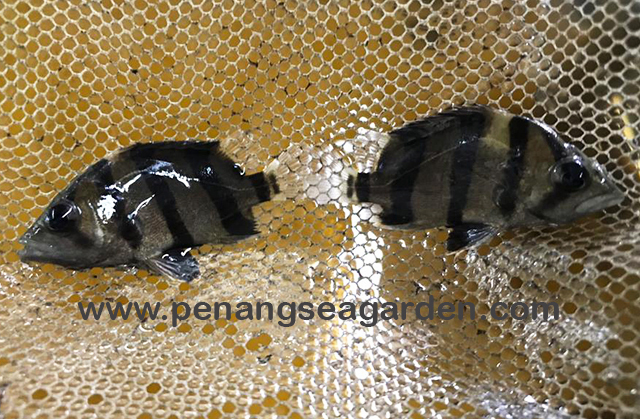 This can be due to water condition, space constraints or bullying by other fish (even of the same species). Being predatory, they should not be kept together with peaceful fish. 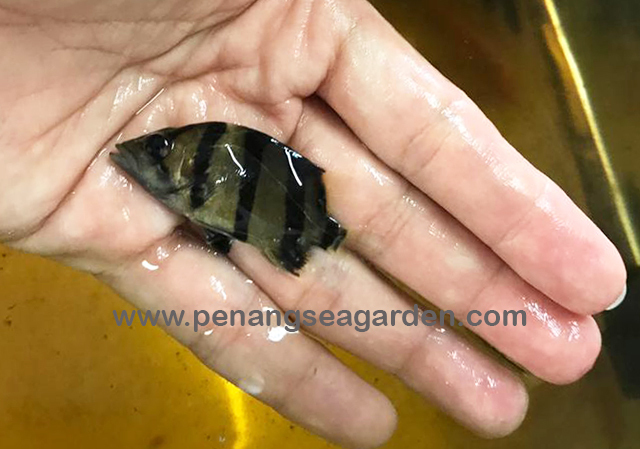 If your tiger fish is constantly unstable (dark and discoloured) even if the water condition is prisitine (no detectable ammonia and nitrites with low nitrates) and there are no fishes terrorising it, you may want to adjust the water salinity. Some tigers prefer freshwater while others prefer brackish water. It is also best to have a 'landmark' for them such as a large piece of bogwood or rock that they can swim near to. In nature, they use their black against gold stripes to blend in with the light and shadows around plants, wood and caves. Environment: Freshwater, light brackish rivers. Water parameters: pH 6.5-7.5, temperature 76-82 F. Accepts light brackish conditions. Aquarium setup: Large aquarium with lots of open space. Dimmed light. Feeding: Live fish, after training frozen shrimps, worms and pellets.